National News is the leading distributor of newspapers, magazines, and occupational newsletters worldwide. We service the Mid-Atlantic as well as major markets nationally with hand-delivery, transportation/hauling services and special event distribution. Our delivery recipients include Business and Government as well as Residential addresses. We target U.S. Government, Embassies, Media, Advocacy, Special Interest and Lobbyists, as well as every single decision maker within the House and Senate everyday. We pride ourselves on safe, reliable and complete delivery solutions for publishing partners. From print site to reader, our services are comprehensive, accountable, and responsible and will result in measurable satisfaction. National News traces its roots to the year 1946, when a young newsboy named Al Tucci began distributing papers. In 1968, Mr. Tucci sold his business to Benjamin “Earl” Skinker Jr. Earl’s focus was on promoting the business and maintaining good relations with newspaper publishers, as well as handling the day-to-day management chores. In 1970 as the company grew, Earl Skinker employed his sons Benjamin “Buck” Skinker III, and John Skinker to help run the business. Soon the same quality services that were being delivered each day to newspaper and magazine readers in the DC metropolitan area were being requested by occupational newsletters and trade publication publishers so that they could provide quality delivery service to their customers in other markets. This meant that the 1980’s placed National News in the transportation and logistics business, as well as the hand-delivery business. By 1990, the company was serving markets nationwide. The 1990’s brought further growth to National News via transportation and hauling inquiries from major publishers in the Mid-Atlantic. These publishers needed a reliable method of transporting copy to their own delivery partners. Publisher’s recognized National News as not just another trucking company, but a trucking company who recognized the time-sensitive nature and proper handling of newspapers for the marketplace. 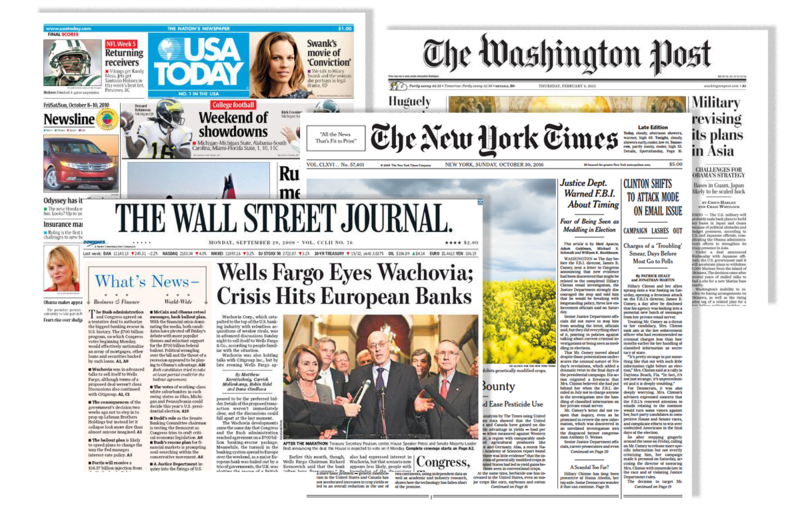 Today, National News is the leading distributor and hauler of newspapers and news resources in the Washington metropolitan and suburban markets. By delivering quality service, flexibility, innovative marketing and support programs, we meet the needs of our business partners consistent with their perception of value. Our continuing efforts to maintain a leadership position through the use of advanced technology, constant process improvement and continuous cost reduction won’t be compromised. We will continue to seek growth opportunities while leveraging our core competencies into other related areas and pursue opportunities outside our traditional lines of business. We will provide both a challenging and rewarding environment for our employees.